the Fair Trade Commission (FTC) has been given the power to solicit opinions from the public and, if necessary, enlist academic research institutions to provide opinions, but, in the event that one of the participating parties to the combination does not agree to such combination (ie, a hostile takeover), the FTC must inform the said objecting party of the justification for the combination filing and seek the opinion of the said objecting party on such combination filing. At the national level, the FTC is the government authority overseeing mergers and other types of combinations. The FTC is empowered to examine and investigate possible violations of the FTL and to take action against those who breach the FTL by imposing fines and other penalties. The FTC can also order the dissolution of any combinations that breach the provisions of the FTL. The FTC will investigate complaints against combinations effected without the consent of the FTC, but may also investigate matters on its own initiative. directly or indirectly gains control over the business operations or the employment and dismissal of the personnel of another enterprise. In calculating the shares or capital contributions to determine whether there is a combination, the shares or capital contributions held or acquired by those enterprises that have a controlling or subordinate relationship with the participating enterprise shall be aggregated with those held or acquired by the participating enterprise (see question 4). The Guidelines further categorise combinations into three different types, including horizontal (where the combining enterprises engage in horizontal competition), vertical (where the combining enterprises have an upstream-downstream relationship), and conglomerate (where the combining enterprises do not engage in horizontal competition and do not have an upstream-downstream relationship). The establishment of a joint venture company by two or more enterprises is considered an enterprise combination subject to the FTL, regardless of the type of joint venture. Hence, the jurisdictional thresholds discussed below would apply. where a person or a group and their related persons hold a majority of the total number of outstanding voting shares of, or contributes more than half of the total capital of, another enterprise (see question 5 for a discussion of the persons and groups that would be considered ‘enterprises’ under the FTL’s merger rules). where the same shareholders hold at least 50 per cent or more of the total number of outstanding voting shares of another enterprise, or contribute at least 50 per cent or more of the total capital stock of another enterprise. See question 2 for a description of situations where a notification is required in cases where there may not be a change in control. if the sales revenue during the previous fiscal year of any enterprise that is a party to the combination exceeds a figure set by the FTC. The current sales threshold promulgated by the FTC for the parties, where the enterprises in the merger are not financial institutions and the total sales in Taiwan of one of the merging parties in the preceding fiscal year exceed NT$15 billion, while the total sales in Taiwan of one of the other merging parties in the preceding fiscal year also surpass NT$2 billion; if all parties to the combination are financial institutions (eg, a bank, a securities company, an insurance company or a financial holding company), then the threshold is at least NT$30 billion in sales revenue in Taiwan in the immediately preceding fiscal year for such financial institution, and the threshold for the other party is still NT$2 billion in sales revenue in Taiwan. The FTC is authorised by the FTL to establish other new thresholds of sales revenue for certain industries as the need arises. 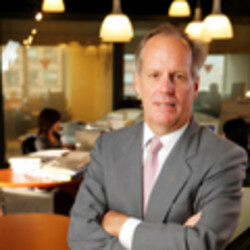 A new turnover threshold adopted by the FTC on 2 December 2016 further provides that a merger control filing is required if the combined global sales volume in the immediately preceding fiscal year of all parties to a combination exceeds NT$40 billion and at least two of the parties each had Taiwan sales volume for the same year of at least NT$2 billion. According to the Guidelines, a general filing is required to be made to the FTC (under the foregoing thresholds) unless special thresholds are met, in which case, a simplified filing can be made. A simplified filing generally requires a shorter waiting period and the submission of less information in the notification, such as fewer major products, competitors and customers covered and fewer years of market and economic information covered. Articles 7 and 8 of the Guidelines provide special thresholds and exceptions relating to simplified filings. A simplified filing is permissible where sales for the preceding fiscal year of the combining enterprises in the combination exceed the revenue threshold (article 11, paragraph i, subparagraph 3 of the FTL) and the combined market share in any market in Taiwan of the enterprises participating in a horizontal combination is less than 20 per cent or the combined market share in any market in Taiwan of the enterprises participating in a horizontal combination is less than 25 per cent and one of these enterprises has no more than a 5 per cent market share in such markets; the individual combined market share in any market in Taiwan of the enterprise participating in a vertical combination is less than 25 per cent; after taking into account major competition factors, the proposed conglomerate combination would not have a substantial negative effect on competition in the relevant markets of participating enterprises; or an enterprise participating in the combination directly holds not less than one-third, but less than half of the total voting shares or total capital of, and subsequently combines with, the other enterprise. the relevant market of the combining enterprises shows high barriers to entry, high market concentration, any other major disadvantages, etc. For the purpose of calculating the sales revenue thresholds noted above, the sales revenue of the participating enterprises to the combination shall be aggregated with the sales revenue of all enterprises that have control over the participating enterprise, enterprises that the participating enterprises have control over, and all enterprises that are controlled by the ultimate parent enterprises of the participating enterprises. For the definition of ‘control’ see question 4.
the above group and an enterprise in which a group or the related persons in the group hold more than one-half of the total number of outstanding voting shares or total capital. It is unlikely that a transaction not reaching these thresholds would be investigated for not filing a notification for combination. Once any of the jurisdictional thresholds set out above are met, notification of the combination to the FTC is mandatory, unless the combination falls under one of the exceptions enumerated under article 12 of the FTL. other types of combinations promulgated by the FTC from time to time. an enterprise surrenders part or all of its voting shares or capital contribution in a third company to an enterprise that is also controlled by the same controlling company. Yes. When the thresholds are met, a notification is required. However, in the process of reviewing the notification, the FTC may decide not to exercise jurisdiction pursuant to the Principles for Handling Applications of Extraterritorial Combinations (the Principles), the last amendment of which was promulgated in December 2016. The Principles apply not only to combinations involving foreign enterprises with no subsidiaries or branch offices in Taiwan, but also to combinations involving Taiwanese enterprises and foreign enterprises, and Taiwanese enterprises and Taiwanese subsidiaries, branches or affiliated enterprises of foreign enterprises. The Principles define an ‘extraterritorial combination’ under article 10 of the FTL as an enterprise combination involving two or more foreign enterprises that occurs outside Taiwan. An extraterritorial combination must file a notification with the FTC if one of the jurisdictional thresholds outlined in question 5 is satisfied. other factors considered important by the FTC. Although Taiwan has joined the World Trade Organization and generally moved towards the liberalisation of restrictions on foreign investment, it still prohibits or restricts foreign investment in a number of industries. According to the Negative List for Investment by Overseas Chinese and Foreign Nationals issued by the Industrial Development and Investment Centre of the Ministry of Economic Affairs, foreign investors should particularly be aware of investment caps or barriers to investment in sectors such as telecommunications, public transportation, military supplies and accounting services. According to the Enterprises Merger and Acquisition Law, foreign companies may merge with or assume all of the assets and liabilities of Taiwan companies subject to the Negative List for Investment by Overseas Chinese and Foreign Nationals. According to the Financial Institution Merger Law, foreign financial institutions may merge with or assume all the assets and liabilities of financial institutions incorporated in Taiwan. Under the Financial Holding Company Law, foreign financial holding companies may obtain controlling ownership interests (up to 100 per cent) in financial subsidiaries of financial holding companies. Investment in Taiwan funded from mainland Chinese sources was previously strictly prohibited. However, the Taiwan Ministry of Economic Affairs promulgated new regulations on 30 June 2009, with the recent amendment in March 2015, with respect to investments from mainland China and the establishment of mainland Chinese companies’ branch offices or agencies in Taiwan. So far, a considerable number of industries (including textiles, certain kinds of infrastructure industries, banks, securities firms, insurance companies and certain type II services (non-facility based) telecommunication services) are currently allowed to receive investment from mainland China. In addition, the Taiwanese currency, the New Taiwan dollar, is not freely convertible. If a combination were to involve the inward remittance of more than US$50 million or its equivalent by any company involved in the transaction, that company would be required to seek approval from Taiwan’s central bank, on this and any other currency-related issue. There are no specific rules on filing deadlines. However, notification must be filed at least 30 days prior to consummation of the combination. Sanctions for not filing include fines ranging from NT$200,000 to NT$50 million for each violation of the FTL (2015 FTL amendments increased the lower limit up from NT$100,000 to NT$200,000) and orders to cease or unwind the combination (see question 24). Fines have long been imposed for failure to file. an individual or a group holding more than half the voting shares or contributing capital of the ultimate parent enterprise of the participating enterprise may be required to file a notification. If the enterprises that are responsible for filing have not been incorporated, other enterprises participating in such combination must file. Most commonly, the ultimate foreign parent companies of foreign enterprises involved in an extraterritorial combination are the parties that file the notification. For a foreign enterprise that has a branch or subsidiary in Taiwan, filing may be made by the Taiwan branch or subsidiary. However, the FTC may request information from the ultimate foreign parent enterprise as it deems necessary. There are no filing fees. A combination cannot take effect until 30 working days after the FTC receives the complete notification materials; however, the FTC may shorten or extend the 30-working-day waiting period by providing written notification to the notifying enterprise of such change. This extension period cannot exceed 60 working days. If no extension is granted to the original 30-working-day period and no objection to the combination is issued by the FTC by the end of the original 30-working-day period, the enterprises may combine 30 working days after the FTC receives the complete notification. The FTC may shorten the original 30-working-day period if it determines that it has no objection to the combination. However, if the notifying enterprise agrees to the combination being further reviewed upon the expiry of the said extension period, the combination cannot take place. Where the FTC extends the deadline, the enterprises may combine at the end of this extended deadline, or the parties may combine before the deadline if the FTC issues a decision allowing them to do so. The parties may not combine if the FTC issues an objection to the combination, or if false or misleading statements are found in the enterprises’ notification. A combination that is required to be notified to the FTC may not legally be implemented if the FTC objects to the combination. If the combination is implemented anyway, the enterprises may be punished as described in question 24. In practice, in cases where a combination occurred without the requisite notification, the FTC imposed a fine on the participating enterprise that would have been responsible for the filing and required that the participating enterprises supplement the filings. If there is no FTC objection after the waiting period as described in question 11 has ended, the combination may take place. One unresolved legal issue is whether a combination is void per se if it is not notified, or if it is to be deemed valid unless and until the FTC declares it to be illegal and thus void ab initio. One district court held that a combination that triggered the application requirement was void because no prior approval was obtained from the FTC. It should, however, be noted that this opinion was issued by a district court, and that this holding is without precedent. There continues to be a lack of consensus on this issue. As far as we know, there has been no such case where sanctions were applied. There are no such solutions. No special rules apply to public takeover bids. As discussed above, if the takeover falls within the definition of ‘combination’ and any of the jurisdictional thresholds is met, notification to the FTC is mandatory. in the case of the establishment of a financial holding company by way of combination, contract documents. Additionally, for any enterprise that proceeds with a merger where any false or misleading information was contained in the filing, according to the FTL, the FTC may prohibit such merger, prescribe a period for such enterprise to unwind, to dispose of all or a part of the shares, to transfer a part of the operations, or to remove certain persons from certain positions, or make any other necessary dispositions, and may impose an administrative penalty of no less than NT$100,000, and no more than NT$1 million, upon such enterprise. Further, for any enterprise violating such a disposition order from the FTC, the FTC may order a dissolution, suspension, or termination of the business’ operations. In addition to the fines stipulated in the FTL, the Administrative Penalty Act (APA) can also be applied if an enterprise is found to be in violation of the FTL. According to the APA, if an enterprise is determined to have gained a benefit that exceeds the maximum statutory amount of the fine, the fine may be increased to represent the scope of the benefit gained. Further, if there has been a breach of duty because of an act of a director of an enterprise or of any other individual with the authority to represent an enterprise, the APA allows such director or individual to be separately fined if it is found that he or she has acted with intent or gross negligence. Under the FTC’s internal rules and procedures, notifications of combinations are first submitted for initial review to the department within the FTC that deals with combinations. During the initial review, the department will examine whether the combination falls within the jurisdiction thresholds and whether all required documents have been submitted. If such combination does not fall within the jurisdiction thresholds, the FTC will issue a letter to indicate this fact. If all the required documents have not been submitted, the FTC will issue a letter requesting supplementary information. After all required documents have been provided, the department will submit the case to the Commissioners’ Meeting of the FTC, which will make the final decision on whether or not to reject the combination, or whether to extend or shorten the clearance period. Also, pursuant to article 27 of the FTL, the FTC may require that the parties or related third parties provide statements, or may require that relevant organisations or individuals submit records, documents or any other necessary materials. The FTC may consult with other Taiwan government authorities that regulate the industries of the parties to the combination. The FTC is also authorised to dispatch personnel to inspect the offices, places of business or other locations of the relevant organisations. The 2015 amendments to the FTL authorised the FTC to seize evidence found during an investigation. The commissioners may also ask the participants to appear in person at hearings or interviews. In addition, the FTC passed an internal rule in April 2002 to the effect that any combination notification filed with the FTC will be published on the FTC’s website accompanied by a public request for opinions concerning the combination. However, the FTC will not respond or make any statement regarding such opinions. The FTC may choose to not make a combination case public if doing so would be contrary to any other existing laws. As discussed in question 11, clearance takes 30 working days or less from the time the FTC receives the complete notification materials or at the end of any extension period that may or may not be granted by the FTC. The FTC may shorten the clearance period when it has determined that it has no objection to the combination. The clearance period for a combination can vary significantly based on the complexity of the combination. supply substitutability, meaning the ability of competing suppliers of products or services to provide substitutes when the original supplier raises its prices. The Instructions suggest that the FTC will focus more on demand substitutability than supply substitutability. According to the Instructions (article 3), the relevant market shall be determined by both the product market and the geographical market. In addition to the consideration of the product market and geographical market, the FTC may, depending on the case, examine how time influences the scope of the relevant market. The Instructions further provide examples of three approaches for determining the relevant market, which the FTC may use, on non-binding and non-priority bases: reasonable interchangeability of use analysis, cross-elasticity analysis and hypothetical monopoly test. After the relevant market is identified, market share is calculated by considering the production, sales, stock, and import and export turnover of the enterprise in relation to the total market. As mentioned in question 5, article 11 of the FTL states that combinations in which one of the parties has a ‘one-quarter market share’ require notification to the FTC. In many jurisdictions, such market share tests apply only to markets in which the parties to a transaction have overlapping markets. This, however, is not the case under the FTL. Further, the FTC’s position in its examination of notification filings is that the market share thresholds do not apply only to markets in which there is overlap. other factors that could influence the economic benefits. However, where the FTC needs to make a decision on a notified combination, it may attach conditions or burdens so as to ensure that the overall economic benefit of the combination will be greater than the negative effects on competition. A number of combinations that were approved by the FTC in recent years under the earlier version of the FTL involved combinations of enterprises whose markets had little overlap. This type of transaction is likely to have little impact on the enterprises’ relevant markets and the FTC is generally well disposed to approving such combinations. The Guidelines present more specific substantive tests for clearance relating to simplified and general filing cases. For simplified filings, the FTC may determine that the overall economic benefit of the combination outweighs the disadvantages resulting from competition restraint in the absence of exceptions leading to the application of a general filing. For general filings, the FTC may determine that the overall economic benefit of the combination outweighs the disadvantages resulting from competition restraint if there are no obvious concerns of competition restraint, after taking into account the factors relating to horizontal, vertical and conglomerate combinations contained in the Guidelines. In the event of obvious concerns of competition restraint, the FTC shall further assess the overall economic benefits to determine whether they outweigh the disadvantages resulting from competition restraint. (v) other concrete results relating to overall economic benefits (for (iv), this includes the enterprise being unable to repay its debts in the short term; except through combination, the enterprise is unable to use other methods less restrictive to competition to remain in the market; and if unable to merge with another enterprise, the enterprise will have to withdraw from the market). For each category of combination, the Guidelines further set forth the following specific competition assessment factors that are used to determine whether there will be any harmful restraining effects on competition in the market. The FTC may take into consideration the following factors to assess the restraint on competition resulting from the combination. After the combination, the combining enterprises can increase product prices or remuneration for services without being restrained by market competition (in such event, the FTC may assess the combination based on factors such as the market shares of the combining enterprises, homogeny of the products or services, production capacity and import competition). After the combination, the combining enterprises and their competitors restrict each other’s business activities, or despite the absence of such restriction, the enterprises and their competitors take uniform actions, thus causing the market to be actually void of competition (if this occurs, the FTC may assess the combination based on factors including whether the market situation would be beneficial to concerted actions from enterprises, the degree of difficulty in monitoring violations and the effectiveness of punitive measures). Including the possibility and timing of entry of potential competitors, and whether such entry would result in competition pressure on existing market players. The ability of trading counterparts or potential trading counterparts to restrict increases in product prices or remuneration for services by the combining enterprises. Further, the FTC will consider competition restraint to be obvious and shall further assess the overall economic benefits where (i) the combined market share of the combining enterprises reaches half of the market, (ii) the combined market share of the top two enterprises in a relevant market reaches two-thirds of the market, or (iii) the combined market share of the top three enterprises in a relevant market reaches three-quarters of the market (for (ii) or (iii), the combined market share of the combining enterprises should reach 20 per cent). the possibility to implement concerted actions. other factors that affect the significant potentiality for competition. Under the Guidelines, factors such as harm to innovation and common ownership concerns have not been clearly defined. However, when making a decision regarding a combination, the FTC can impose burdens on a clearance if allowing such combination may harm innovation. For example, the FTC imposed certain burdens in the combination between Nokia and Microsoft in which it required Nokia to authorise its standard essential patent based on fair, reasonable and non-discriminatory (FRAND). Non-competition issues are not relevant in the review process in principle. In reviewing a notification of a combination, the FTC considers first and foremost whether the benefits of the combination for the overall economy are likely to outweigh the negative effects. According to the Guidelines, in cases where the combination filing is reviewed by simplified procedure or where the FTC believes that there are no obvious competition restraints, the FTC may decide that the overall economic benefits outweigh the disadvantages. The operative principle is whether the overall benefit of the combination outweighs the disadvantages of restraining competition. The FTC will, however, examine economic efficiency issues more closely when there are strong disadvantages resulting from the proposed combination. Additionally, the FTC assigns less weight to efficiency benefits that accrue as an indirect result of a combination, or if the combination is not the only (or most important) way to achieve the efficiency benefit. The FTC may consider the following factors in conducting its analysis: increased efficiency with regard to the use of assets, lowered production and transport costs, economies of scale and diversification of services, whether there is a practical and effective savings plan, whether the combination lowers the variable costs of doing business, and the general impact of the combination on prices or services to consumers. The FTC only considers efficiency benefits that have been passed down to consumers in one form or another. As stated in question 19, the Guidelines added a provision that requires the FTC to consider the overall economic benefit of the combination even when obvious concerns arise regarding restraint on competition. The Guidelines state that when a filing raises obvious concerns of competition restraint, the FTC will review the following considerations submitted by the filing enterprise regarding overall economic benefit from the combination. If a combination occurs without the requisite notification or is disallowed by the FTC, the Commission may, in addition to imposing fines ranging from NT$200,000 to NT$50 million for each violation of the FTL, issue orders prohibiting the combination, set a deadline within which the enterprises must separate, require the disposal of acquired shares, require that business activities be transferred, or require that certain company officers or employees resign from their positions. Also, the FTC may order the dissolution of the enterprise or suspension of its operations if that enterprise fails to comply with its orders. The FTC may also pursue remedies beyond those enumerated above where warranted under the circumstances. In addition to the fines stipulated in the FTL, the APA can also be applied if an enterprise is found to be in violation of the FTL. According to the APA, if an enterprise is determined to have gained a benefit that exceeds the maximum statutory amount of the fine, the fine may be increased to represent the scope of the benefit gained. Further, if there has been a breach of duty because of an act of a director of an enterprise or of any other individual with the authority to represent an enterprise, the APA allows such director or individual to be separately fined if it is found that he or she has acted with intent or gross negligence. This fine can also be applied to the director or individual if the breach of duty is attributable to an act of a staff member, employee, or any other person with authority to act on behalf of the director or individual. The February 2002 amendments to the FTL give the FTC the right to order additional conditions or burdens so as to ensure that the overall economic benefit of the combination will be greater than the disadvantages of restraining competition. For example, the FTC allowed one company to enter into a combination but forbade it from using its monopoly status to its advantage in the local market. While the FTC has the requisite power, it has yet to order a divesture undertaking. Also note that the FTC is authorised to order the dissolution of the enterprise or the suspension of its operations if that enterprise fails to comply with its orders. For further information, see question 24. Divestments or other remedies are enforced when enterprises combine without undergoing the mandatory waiting period, combine despite prohibition by the FTC, or fail to abide by conditions set by the FTC. The FTC can prohibit a combination or prescribe a period for such enterprise or enterprises to split, dispose of all or a part of the shares, transfer a part of the operations, remove certain persons from positions or make any other necessary dispositions. Enterprises that violate a disposition by the FTC within the prescribed period may be further ordered to dissolve, suspend or terminate their operations. The FTC has imposed conditions and ‘burdens’ (a form of continuing obligations that may be imposed on a party to an administrative disposition under Taiwan Administrative Procedure Law) in a number of foreign-to-foreign mergers. The FTC will consider related arrangements to the extent that such arrangements restrict competition. Non-compete agreements, obligations to license industrial property, purchase and supply obligations, and other obligations, where known to the parties at the time of filing, must be disclosed and will be considered as relevant factors in the FTC’s decision-making process. However, there are no specific provisions in law that address ancillary restrictions. As mentioned in question 1, in the event that one of the participating parties to the combination does not agree to such combination (ie, a hostile takeover), the FTC must inform the said objecting party of the justification for the combination filing and seek the opinion of the said objecting party on such combination filing. Further, the FTC is allowed to solicit opinions from the public. Therefore, if customers or competitors are aware of a notification to the FTC, they may submit their views, but the FTC is under no statutory obligation to accept or take such views into account. Additionally, the FTC may require related third parties to make statements or require relevant organisations or individuals to submit records, documents and other necessary materials. The FTC is also authorised to dispatch personnel to inspect the offices, place of business, or other locations of relevant organisations. Under the FTL, if a party is injured by the actions of an enterprise that is acting in violation of the FTL, the injured party may seek injunctive relief as well as damages. A court may award treble damages. However, a party’s ability to recover damages for injuries resulting from merger and acquisition activities is largely theoretical. As mentioned in question 17, any combination report filed with the FTC will be publicised on the FTC’s website with a request for opinions from the public on the combination. The published information is general in nature, taking the form of a relatively brief announcement of the planned combination. The filings made to the FTC by the parties to the combination are not public. Similarly, opinions submitted by interested parties may only be reviewed by the FTC. Beyond this, the review of a notification of a combination is an internal process kept within the FTC, except that the notifying enterprise or a related person may, as required for the advocacy or defence of legal rights and interests, request to read, transcribe, photocopy or photograph relevant materials or files, with some exceptions limited under the Taiwan Administrative Procedure Law and the internal rules enacted by the FTC. The FTL does not explicitly authorise cooperation with antitrust authorities in other jurisdictions; however, the FTC has communicated with antitrust authorities in other jurisdictions while conducting investigations in the past. Also, the FTC has entered into cooperative treaties with the antitrust authorities in Australia, Canada, France, Japan, Mongolia, Hungary, New Zealand and Panama. FTC policy statements note that in recent years there has been a trend toward large combinations between multinational corporations, the parent companies of which are located in advanced industrialised countries. It is noted that while such combinations may improve the competitiveness of the parties in their respective home countries, because of the market power of such companies in other countries, it is necessary that the competition authorities coordinate and scrutinise the competitive impact of such transactions. Accordingly, it is the policy of the FTC to broadly interpret its jurisdiction in offshore transactions that may have a competitive impact in Taiwan. The 2015 amendments to the FTL allow an enterprise or person dissatisfied with an FTC decision to appeal the decision directly to the Taipei High Administrative Court and finally to the Supreme Administrative Court without first submitting to a review procedure by the Appeals Committee of the Executive Yuan, as previously required. This change was instigated after Taiwan’s Grand Justice Council opined that decisions by an independent agency are exempt from review by its direct superior authority. According to the Taiwan Code of Administrative Procedure, if the requirement to first appeal to the superior authority is waived by laws, parties dissatisfied with administrative decisions may file for judicial review within two months of receiving such decisions. Thus, after the FTL’s 2015 amendments (see question 32), parties dissatisfied with FTC decisions may file for judicial review directly within two months of receiving such decisions. Judicial review could take anywhere from eight months to one-and-a-half years to reach a final resolution. According to the publicly accessible database maintained by the FTC, between October 2013 and May 2017 there were 10 cases of a party being penalised with an administrative fine of between NT$50,000 and NT$5 million for failing to file with the FTC. In many other cases, the FTC approved the combinations but set several conditions on the approvals. Those conditions varied depending on the type of combination, but included restrictions on the appointment of directors, supervisors and general managers for a certain period of time, restrictions on certain types of actions that could have the potential to harm competition, restrictions on certain types of actions that could constitute abuses of market power, and the provision of certain business information, such as pricing arrangements, to the FTC for a certain period of time. In the past three years, the FTC has not rejected any combinations, but has begun increasingly imposing conditions on the approvals it grants to combinations. According to a report issued by the Chair of the FTC in the Legislative Yuan, the FTC will be ‘looking closely to the progress of investigations of international antitrust cases and will use those as references when enforcing the FTL’ and will ‘maintain open communication with other foreign agencies in charge of competition law in order to thwart international cartels and anti-competition activity’. In the future, decisions made by foreign agencies may be more likely to be scrutinised by the FTC. Yangming Partners is a full-service law firm representing clients in legal matters of a cross-border nature related to Taiwan. 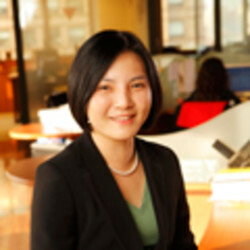 Yangming Partners’ attorneys have extensive experience in a broad range of practice areas, including cross-border investment, corporate formation and registration, joint ventures, mergers and acquisitions, construction and other infrastructure projects, banking and securities regulation, antitrust and competition law, intellectual property law and commercial litigation and arbitration (civil and criminal).